Your pill bottle says: Take with food. But what if you don’t have food at home? Thousands of Minnesotans with health issues face dilemmas like these. Through the new FOODRx program, the George Family Foundation, Second Harvest Heartland and several area health care providers are working together to develop and test strategies to ensure that these types of situations no longer happen. For example, a group of patients at CentraCare in St. Cloud, MN is receiving FOODRx food boxes that support healthy eating and the treatment of their diabetes or heart disease. The boxes contain nutrient-rich foods that can be quickly prepared for tasty and healthy meals. This pilot project is one of four related projects that will begin over the next six months. 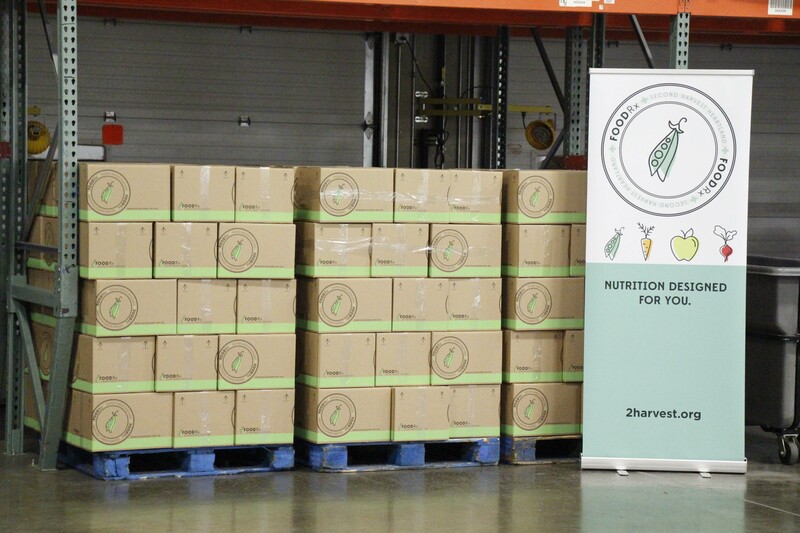 On September 15, 2016 program donors and stakeholders came together at Second Harvest Heartland to celebrate the launch of FOODRx, and to pack food boxes to be distributed at the CentraCare clinic in St. Cloud. A Registered Dietician selected healthy, easy-to-prepare foods for the FOODRx food boxes that are distributed to patients with diabetes. Dozens of volunteers are enlisted each month to assemble FOODRx food boxes at Second Harvest Heartland. 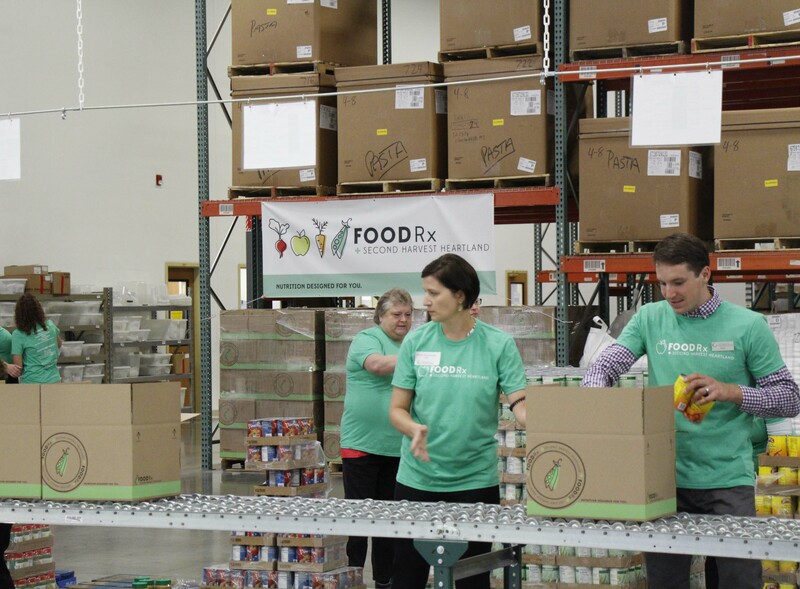 On September 15, FOODRx stakeholders joined together for a program update and food box packing activity at Second Harvest Heartland.